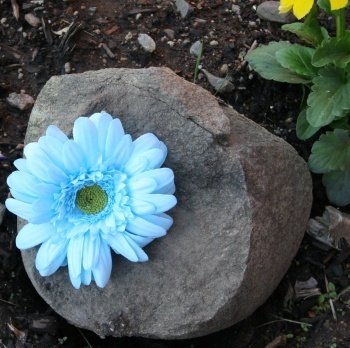 This is a light turquoise silk Gerbera Daisy clip that is ready to go. This daisy is 3.75" in circumference. The center has a lime green/ yellow center that measures 15mm. This flower can be worn by itself as shown or add it on to any headband, beanie hat or bow. It is already attached to a white grosgrain lined alligator clip, just slide it right on!